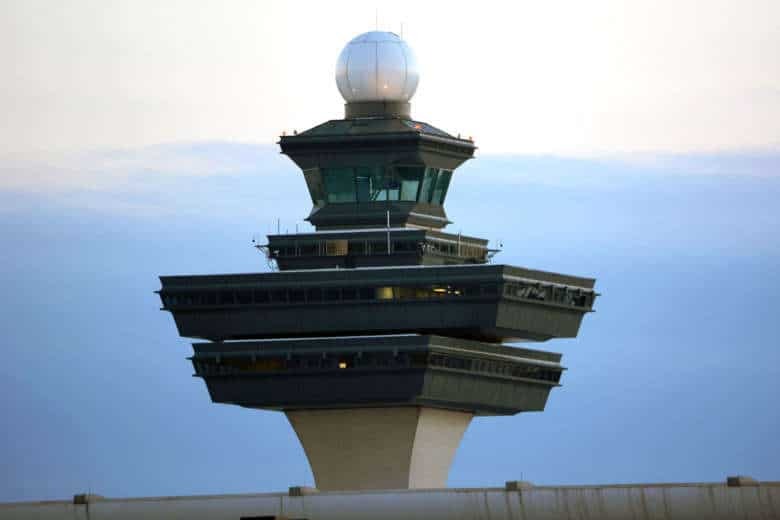 Tight shot of Dulles Airport control tower. The Dulles emergency landing came around the same time as news that a Southwest Airlines jet made an emergency landing at Philadelphia’s airport after the crew reported damage to an engine, fuselage and window. One person died in the emergency landing in Philadelphia. WTOP’s Carlos Prieto and The Associated Press contributed to this report.